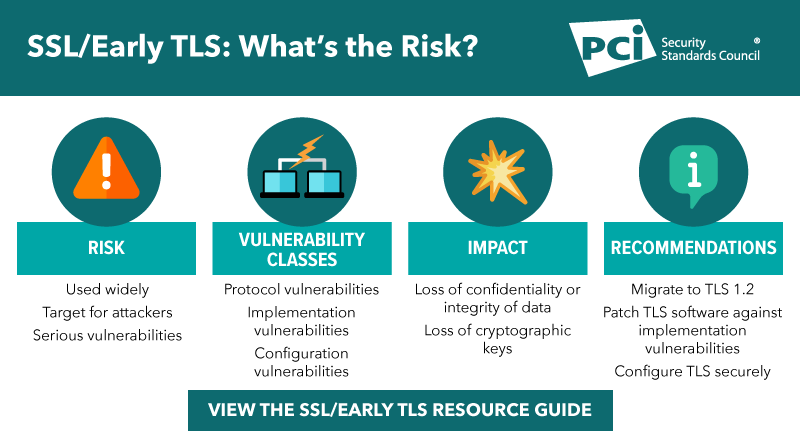 Is your organization still using Secure Sockets Layer (SSL)/early Transport Layer Security (TLS) protocols? Do you work with online and e-commerce partners or customers who have not migrated from SSL/early TLS to a secure form of encryption? 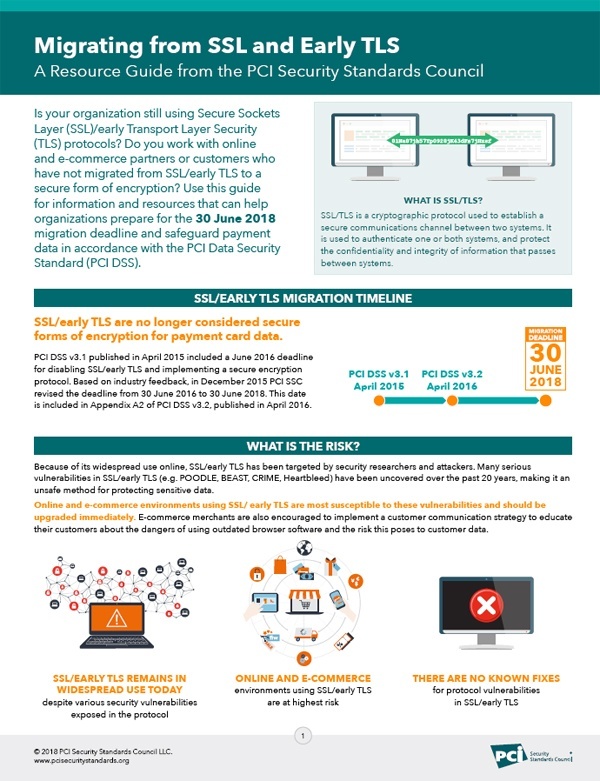 Use this guide from the PCI Security Standards Council for information and resources that can help organizations prepare for the 30 June 2018 migration deadline and safeguard payment data in accordance with the PCI Data Security Standard (PCI DSS).